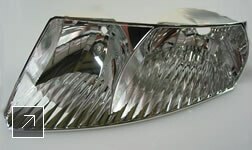 Help save money and time during automotive product development. Visualization and simulation tools can help reduce the need for physical models. Predict product behavior early, resulting in a higher-quality product for automotive suppliers. 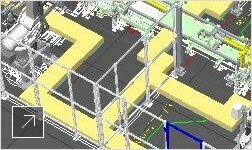 Increase flexibility for production equipment design and factory planning. Bring efficiency to your design process. Make decisions on a virtual 3D model, and use efficient surface design capabilities to turn a concept model into a detailed design model. Easily explore scenarios and reuse information beyond CAD geometry, such as camera angles, shading, shadows, and materials. Generate movie-quality, production-ready CGI and videos to meet early demands. Develop high-quality, high-fidelity production-ready surface models using quality assessment and review tools. Reduce the need for a physical model; judge quality in context of texture, color, and illumination; and reuse surface model information such as cameras, shading, shadows, and materials. Generate production-ready, high-resolution CGI and videos for reuse in marketing and artistic commercials. Efficiently generate high-resolution CGI from real-time visualization with faster CGI creation, more alternatives, and easier modification. Accelerate and economize the design process with frame and shaft generators and modules for sheet metal and plastic parts design. Easily set up and manage workgroup data management and secure design data with multisite collaboration and access to enterprise resource planning (ERP). Improve engineering reviews with real-time visualizations, including perceived quality, light design, and gap analysis. Reduce iteration and costly tool changes with early understanding of plastic part behavior during the manufacturing process. Increase innovation by exploring alternatives and predicting behaviors with upfront flow, heat transfer, and cooling analysis. Gain early insight by predicting coupled multiphysics effects and simulating electromechanical or mechanical designs up front. Use real-time visualization to review simulation results, such as perceived quality of plastic parts, texture, and airflow. Set up workgroup data management and securely manage simulation data with multisite collaboration and access to enterprise resource planning (ERP) systems. Reduce costly prototypes, increase efficiency, and reduce cycle time with production equipment design based on engineering and product data. Use built-in productivity tools and libraries to enable an efficient 2D design process. Take advantage of existing legacy and external 2D data. Efficiently design and maintain electrical wire diagrams for production equipment machinery with a toolset that includes libraries and electrical logic. Optimize production processes and reduce iterations and costly tool changes with better understanding of plastic parts and tool behavior early in the manufacturing process. Increase efficiency when you use tools to securely manage design data such as revisions, bill of materials (BOM), and workgroup data. Manage production equipment design processes more easily when you a set up PLM backbone. Plan efficiently with provided libraries, or extend and build your own libraries. Increase planning flexibility with 3D visual layouts. Better visualize your building with a 3D design, and use a centralized information system for the entire process, from planning through operations. Set up workgroup data management and securely manage simulation data with multisite collaboration and access to ERP systems. Collaborate with suppliers and contractors in the planning and installation process. Easily set up a PLM backbone to manage processes in production planning, factory installation, and operations. Reuse 3D data and create interactive or document-based instructions via storyboards and snapshots. Efficiently develop 2D drawing-based documentation. 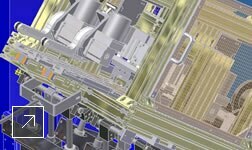 Integrated 3D factory layout software for design and visualization. 3D design, visualization, and simulation tools for product creation. Managing the lifecycle of a product is an important part of creating quality products, reducing process costs, and running projects efficiently. Autodesk provides an efficient PLM tool that allows automotive suppliers to securely manage and track engineering CAD data, collaborate with stakeholders, and improve the overall flow of information. Designing automobiles with greater fuel efficiency and a reduced CO2 footprint is a priority for automotive manufacturers. Autodesk provides tools that support material substitution and help you simulate and optimize automotive plastic parts. Stay in compliance with regulations and environmental standards with automotive design software that helps you stay one step ahead. Using simulation tools, this automotive company can reduce the number of trials, saving iterations and money. Autodesk software helps the team to solve problems early in the design process and produce a high-quality product. This automotive manufacturer was able to swiftly determine the difference between 2D and 3D layouts and display large-scale assembly models, enabling the company to stake out a strong competitive position. These manufacturing engineers visualized and simulated their designs without spending time and money on physical prototypes. Using Autodesk software, they produced custom machinery at one-third the cost.